The World Cup is the last thing the Swansea players should be thinking about with a flurry of huge games between now and the end of the season. Despite this though, a few members of the Jack Army will be wanting to stay fresh and fit across the next four games in order to board that plane to Russia. There’s no doubt the Swansea stopper will be making his way to Russia following an impressive season with the club. He’ll be fighting with Juventus’ Wojciech Szczesny for the Poland number one spot and could well get the nod with the former Arsenal man currently operating as a number two behind Gianluigi Buffon. 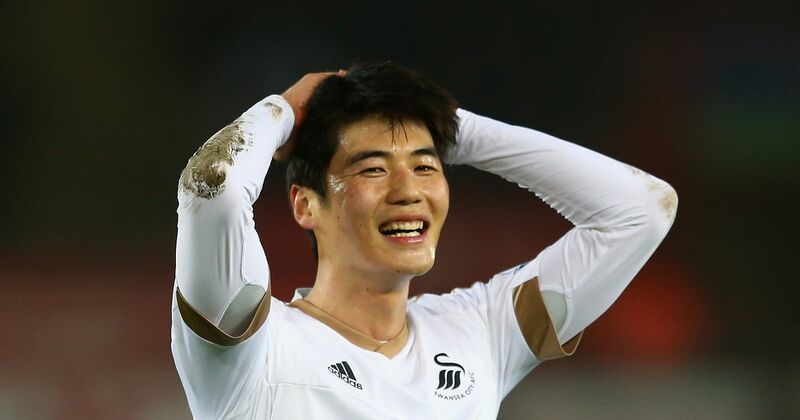 Ki Sung-yeung has had a good season in a Swansea shirt and could use the World Cup as a shop window. He’s out of contract this summer and Carvalhal will be desperate to keep him. The South Korean has 99 caps for his country and is a key man for his country. It’ll be tough for the Koreans to qualify from a group involving Germany, Mexico and Sweden. 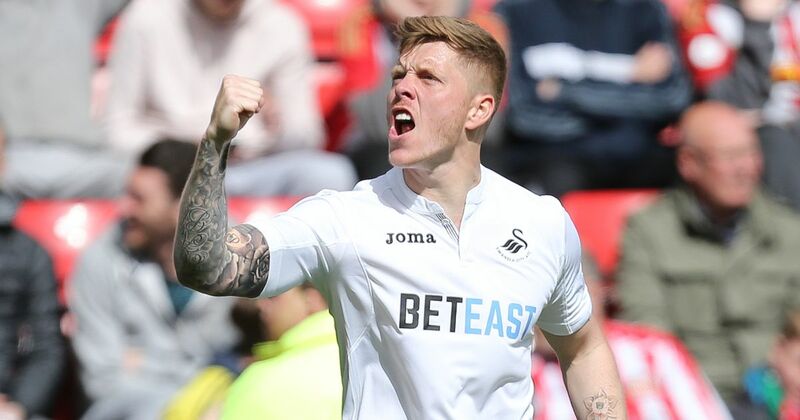 It’s probably around 50/50 as to whether young Alfie Mawson will head to Russia in Gareth Southgate’s 23-man squad. He was selected in the recent England squad to face Netherlands and Italy but failed to make his debut. Whether Southgate will take an uncapped player to Russia is an interesting one, but if he continues to be a reliable force in the heart of the Swans back three, he could be the perfect fit for the Three Lions. Martin Olsson has been an ever-present in the Swansea team since joining from Norwich last year and will also be a starter for the Swedes. He’ll go head to head with teammate Ki Sung-yeung but will have much higher hopes of qualifying for the Round of 16. Joining Olsson will be Kristoffer Nordfeldt. The 28-year-old has made just two Premier League appearances for the Swans and will likely provide backup for Robin Olsen, who took the gloves for their famous victory against Italy. After struggling with the Swans this season, it’ll be interesting to see if the Euro 2016 winner makes the Portugal squad. On loan from Bayern, it’s clear Carvalhal won’t wish to make the deal permanent. He failed to make Fernando Santos’ latest squad and his hopes really are fading. It’s going to take a huge effort for the 20-year-old get back in. He has four Premier League games to do it. Swansea City are in the market for Dundee midfielder Glen Kamara according to recent reports. The 22-year-old Finnish star has been linked to a number of clubs following an impressive season with the The Dark Blues and City have joined the race alongside Celtic and Rangers north of the border. He’s been an ever present for Dundee since joining from Arsenal in the summer and has put in some impressive displays in the Scottish Premiership. So much so l he’s considered one of the best midfielders in the league, so it’s not surprising Brendan Rodgers and Graeme Murty are sniffing around. A move to the Premier League would surely be favoured however, with Swansea leading the chase. It’s thought he’d be available for just £1million, an absolute steal, and Carlos Carvalhal looks ready to make his move. Kamara started his professional career in the Arsenal youth set up but failed to make an appearance, instead taking loan spells at both Southend and Colchester before moving up north. He’s earned three caps for Finland, making his debut in a 3-0 win against Estonia last year. His career trajectory is climbing and it could be a wise move for the Swans to get him signed early. Swansea have been linked to a number of players in recent weeks and are certainly planning for another season in the top flight. Fixtures against Stoke and Southampton will be key in securing that Premier League status and it’s likely no negotiations will be made until the season is over. Elsewhere, the Jacks have also been rumoured to be looking at Strasbourg’s Stéphane Bahoken and Benfica winger Franco Cervi, a 23-year-old Argentinian. Cervi is a hot prospect for a number of clubs and it’s looking like there will be a battle between the Swans, Newcastle, West Ham and Brighton for the £20million man. There’s no shame in losing to the Champions, they’ve played some scintillating football this season. But Carlos Carvalhal needs to get his side right back on track if the Swans are going to avoid relegation this season. Swansea failed to ever get any real grip on the game at the Etihad on Sunday and it wasn’t long before Manchester City turned on the style and took the lead. From there it was a master class in football. Raheem Sterling added to David Silva’s finish, before Kevin De Bruyne, Bernardo Silva and Gabriel Jesus added to the tally. That puts Swansea without a win in five games and with just four games to go Carvalhal’s men are floating dangerously above the drop zone. They sit just four points above Southampton and Stoke, with their only saving grace being the Potters failed to close that gap, dropping two points from a good position against Burnley. It’s a tough run in for Swansea now, who face Chelsea, a side who are desperately hoping they can bridge the gap on the top four. The Blues dispatched of Southampton comfortably in the Semi Final of the FA Cup and are on a run of three straight wins. Carvalhal is claiming the Manchester City game will have no effect on the Jacks and that they are ready for the the final four games. Another defeat to Chelsea though could put a real down on the squad mentally though, which could be instrumental in their huge games against Southampton and Stoke. May is a huge month for the club and you get the feeling Swansea need points from all three games. Bournemouth are the first of that final run in, who are safe and have very little to play for. That could work in Carvalhal’s favour with the Cherries having perhaps downed tools somewhat. Then it’s the big ones where Swansea really can’t afford to drop points. Both Southampton and Stoke will be visiting the Liberty which could see Swansea take the edge, but there will certainly be nerves there. Carvalhal desperately needs to lift his squad before heading to the Vitality Stadium on May 5, it really could make or break their season. It’s going to be a nervy few weeks for Swansea fans, but if Carvalhal can’t pick his players back up following the City mauling, you get the feeling we could be down before a ball has even been kicked. Swansea are going all out to sign RC Strasbourg striker Stephane Bahoken according to reports. The Cameroon international has netted seven in 23 for his side this season and is hotly tipped to make a move over to the Premier League. Both Stoke and Aston Villa are rumoured to be interested in the man who has also had a brief stint in the Scottish Premiership. The 25-year-old started his career at Nice before joining St Mirren on loan where he failed to really make a mark. That led to him moving to Strasbourg in the Championnat National where he’s steadily moved up the leagues with his club. Now plying his trade in Ligue 1, the striker is approaching the end of his contract and could be available to the club on a free. Italian side Udinese are also reportedly keeping an eye on Bahoken, who could work as a replacement for Wilfried Bony. The Swansea striker is said to be interested in a move to Fenerbahce, but his injury worries could put a halt on that. Either way, the Swans are going to need more goals next season and the Strasbourg man could be the solution. Elsewhere, the club will also be keen to bring Connor Roberts and Oli McBurnie through the ranks and give them more game time. Both have shown plenty of promise, with the latter having impressed for Barnsley, where he’s spent the second half of the season on loan. He’s better eight times in 13 games for the Tykes, and has certainly proved he can produce the goods in the Championship should the worst happen and Swansea face the drop. Carvalhal does have some opportunities to bring these players through, but with the club needing to kick on and cement their place in the top flight next season, he may look for more experience. It’ll be interesting to see what happens with Bahoken once the season has finished. The Swans will certainly be looking to make some moves this summer and an experienced striker could be at the top of their agenda. With summer approaching there’s going to be plenty of talk about the ins and outs at the Liberty. The Swans have been linked with a number of players but there are also a few coming to the end of their contracts. Carlos Carvalhal will be desperate to get some signed on for next year, while the door could also be shown to a fair few. Carvalhal will be desperate to get the South Korean international signed up for next season. He’s been instrumental in the Swansea midfield with some intelligent performances. He’s the club’s best midfielder by a distance and there would need to be some major moves in the transfer window if they were to lose him. Leon Britton is undoubtably a club legend and will be without a contract come the end of the season. It’ll be interesting to see what happens from there, with a coaching role perhaps the most favoured option among fans. Arguably the best right back at the club, Carvalhal will likely want to keep the Spaniard on the books. He’s not a bad player and is certainly someone the young Connor Roberts could learn from. There are of course a number of loanees who are set to leave come the end of the season. It’s been a difficult season for Renato Sanches who at the beginning was perhaps considered to be one of the signings of the summer. He’s failed to live up to expectation though and it’s unlikely he’ll be making a return for the next campaign. The same applies to Tammy Abraham. He really hit the ground running in his first few weeks but hasn’t really kicked on from there. It’ll be interesting to see where he ends up next season as he certainly doesn’t look good enough for the Chelsea first team. On the other hand, Andy King has been a good asset for Swansea and Carvalhal may be keen to snap the Leicester man up on a permanent basis. He’s only made a handful of appearances, but has fitted in well and would prove to be a good signing if they stay in the Premier League. 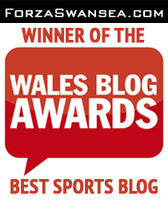 POTY: Who Deserves Swansea’s Player of the Year? There are just a few weeks to go now in the Premier League and Carlos Carvalhal’s turnaround has left a number of players worthy of Player of the Season. Mawson has been fantastic this season and rightfully was rewarded with an England call-up. He’s proved time and time again he’s reliable and will no doubt be linked with a number of clubs over the summer. He’s a future captain if he stays at the Liberty and is part of the new breed of centre halves who can both defend and use their feet. Ki Sung-Yueng may have missed the start of the season but he’s made up for that lost time with some solid performances in the heart of midfield. He’s had a strong second half of the season and will likely be instrumental in Carvalhal’s second season in charge. The Ayews have played a bit part in the Swans’ season. Jordan has chipped in with some key goals, 11 in all competitions. The difference when he’s out of the team is noticeable and he’s a great focal point of the Swansea side. He’s saved the Swans on multiple occasions and has contributed to the earning of multiple points. Now in his fourth season, he’s been as impressive as ever and few goalkeepers in the Premier League have made more saves than him across the season. He’ll be key from now until the end of the season as City try and stay in the top flight. 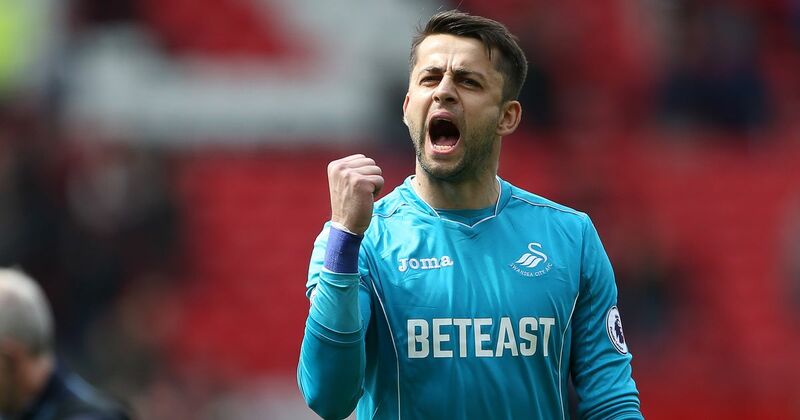 If they manage it, Fabianski will be rightly lauded by Swans fans and would fully deserve the Player of the Season award. The Swansea captain for much of the season and has led by example. At the club since 2014, he’s made 29 times this season at the heart of the defence and has put in some huge performances across the second half of the season. All that has been in the face of tragedy, losing his father at the end of last year. On the field he’s been strong in the most heartbreaking of circumstances and he certainly must be saluted for that.